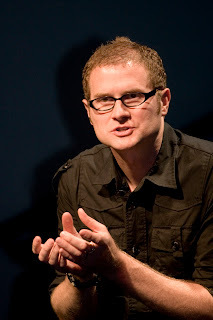 My friend Caleb just let me know that Rob Bell, one of my favorite authors and defiantly one of my favorite people, is coming to Los Angeles on the Drops Like Stars Tour on February 20th, 2010. I would love to hear him talk about his newest topic of interest. His book Drops Like Stars is really interesting, especially aesthetically (it's a coffee table book... only Rob would do that). I am going to see Drops in Atlanta in October. Wish we could see it together Wes! The Catalyst Conference is the following two days and I'll also be attending that. Wes ask your wife if you can go! Dude, I'd be all over that Catalyst Conference if I could afford it... but I can't.